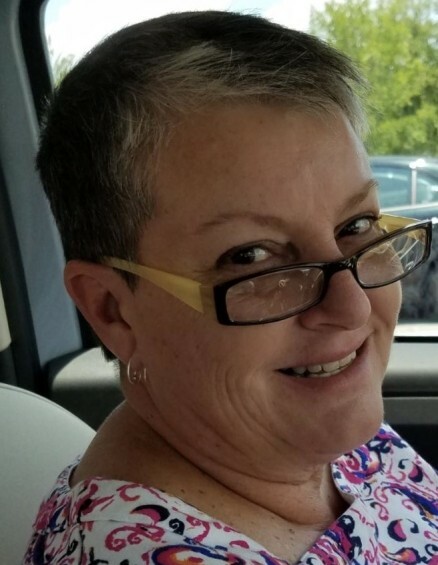 On November 6, 2018, Lora Buchanan Hill, beloved daughter, sister and mother of two children, left us too soon at the age of 62. Lora was born on July 21, 1956 to Buck and Sylvia Buchanan in Chattanooga, Tennessee. She received three degrees from Guilford County Community College and worked at various centers as a preschool teacher for over twenty years. She touched many young lives and was a favorite among the children she taught who referred to her as, Lala. She is survived by her sons, Andrew Hill of Greensboro and Specialist Philip Corey Hill, also of Greensboro; her mother, Sylvia Buchanan of Jamestown; and two sisters, Elaine Hinds of Orlando, Florida and Celia Hunter of Greensboro, NC. Lora was married to Capt. Kenneth Wayne Hill in 1977, but was tragically widowed when he was killed in 1988 in the Persian Gulf, during Operation Praying Mantis. Lora was a learned, witty and eclectic woman with a variety of interests. Artist of pen and ink, acrylics and stitchery. She had a sharp and inquiring mind and lived her life unapologetically. Never happier than when scouring antique stores or barn sales, she amassed an amazing collection of vintage finds that she used to create a truly, unique home. Anyone fortunate enough to be invited in was awestruck. An avid reader, she acquired a substantial library that holds hundreds of books from historical volumes to rare first editions, classics to science fiction. Lora was a great mom, evidenced by her remarkable sons, a dutiful daughter and really swell sister. She is desperately loved and will be profoundly missed. Lora will be laid to final rest in Arlington National Cemetery, Arlington, Virginia. Arrangements are entrusted to Triad Cremation & Funeral Service of Greensboro, NC.